Prize for Zippet440 for winning first place at my first ever monthly request game. He wanted me to draw his main character Zippy as a soldier. 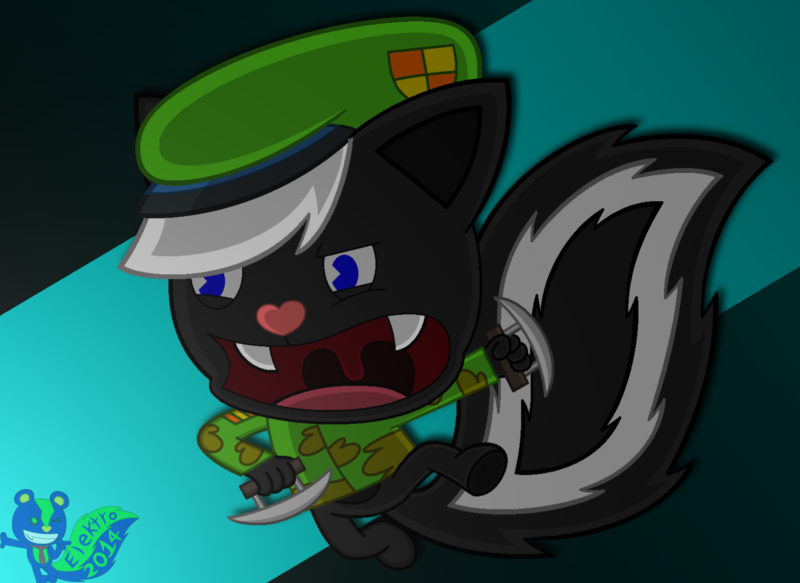 Since Zippy has been redesigned as a black skunk in an army uniform, I decided to do an attack pose for him and include his lethal weapon on each hand. I don't know where that diagonal ultra-thick turquoise line came from, but I do know that was Zippy's old color. In addition to the attack pose, I tried to make this picture look as dark as possible, even though my HTF art style isn't usually in the dark and detailed category of an artist's style.